This was a late edition to the list. Maybe about five years ago, I wouldn't have chosen this. It is the album that a friend and I would listen to the most together, while we were on tour, driving across America. We would listen to 'Running Up That Hill' endlessly. I have to say that I thought I never really liked singing and vocals. However, looking back at these album choices, clearly I must like singing. Again, this album has a story – a clear beginning, middle and end – and it never gets boring. This album also has all those great synth sounds, which later would become part of what you would hear on Warp Records. I really like the second side – all the weird fantasy stuff with the voices telling her to "wake up". It is a weird album but it is a great album. It contains some of the most wonderful melodies. This is really my one Kate Bush moment. For most of this list, it is not as if I have all the albums of the artists, except for Michael Jackson and Janet Jackson. I have most of their albums, aside from the recent stuff. 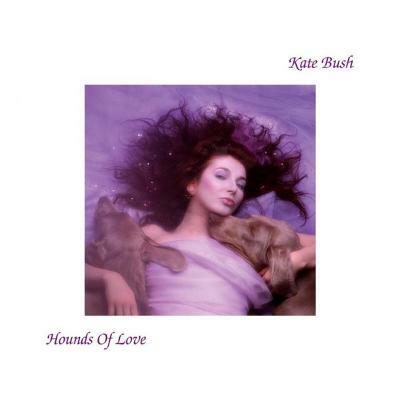 However, this is the only Kate Bush album I like. Did you see her live shows in 2014? No. I didn't go. It sold out in about five seconds. I never really go and see people live – I am really bad at that. It's because I like to listen to albums at home, in my own environment, and dream up all this stuff about them. I think that going to see them live might shatter that. Maybe, going to see Kate Bush live – or meeting Mark Fell from Snd - would have ruined everything from me. Therefore, I think I made a good decision not to go.